Unique Design:Thick and tightly knit weave with reversible plush infinity scarf and hat set, fashionable unique design keeps you warm and looking good in the cold weather.Folding light weight snow ski.. Thick and tightly knit weave with reversible plush infinity scarf and hat set, fashionable unique design keeps you warm and looking good in the cold weather. Folding light weight snow ski caps could cover your ears to provide extra warm on your ears and your cheek. 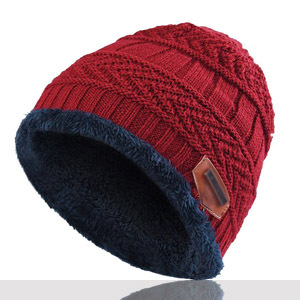 This womens beanie hat can be stretched since it's a knit, so it wasn't too tight around your forehead. Easy to pair with all of women's winter clothes. Wear for the weather in style with a polished look to overcoat or sweaters. 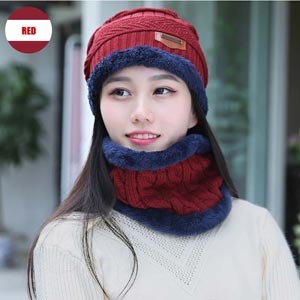 This winter knit hat and scarf set is suitbale for sleeping, walking your dog, cycling, skiing, snowboarding, running, camping, traveling, fishing, hiking, motorcycling and so on. 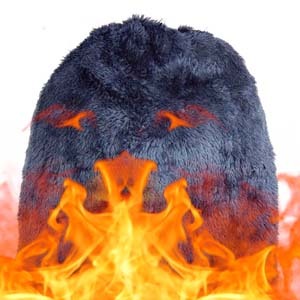 The skull cap can be stretched since it's a knit, so it wasn't too tight around your forehead. The hat and scarf set comes with a knit beanie hat and a circle scarf, Grey, Black, Navy and Red set for your choice. 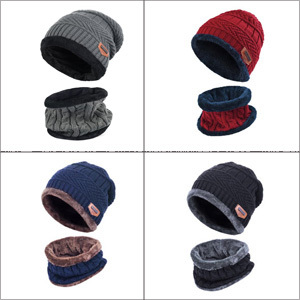 There are 4 colors of seperate hat (without scarf) for your choice: Black, Grey, Navy and Red. Hat Circumference: 22-23.2''(56-59cm), Height: 10.6''(27cm); Circle Scarf Circumference:19.7-27.6''(50-70cm), Wide: 7.9''(20cm). The winter beanie can be stretched and unisex style, suitable for most men and women. 1 x knit slouchy beanie hat. Super thick and chunky acrylic knit construction keeps you warm. The soft fleece inner lining has better heat retention, enjoy the maximum warmth. Delicate sewing thread, provide the added durability..
Are you looking for a gift for your lovely girls? Are you looking for a gift for your boyfriend? Are you looking for a gift for yourself? This beanie hat will be your best choice! 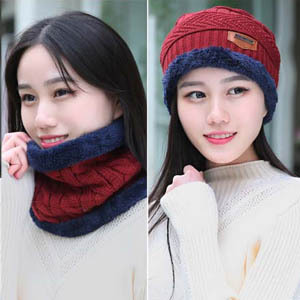 Multi-function hat and scarf set,you can use it separate or together as you wish. Soft-spun acrylic fabric for outside layer, giving you lasting warmth and softness. Fleece lining for extra warmth, features soft, cozy, and skin friendly.